If you've never bought college textbooks, you're probably going to experience some sticker shock. A single hardcover textbook for a math or science course can cost over $100. A novel for your literature class seems like a comparative bargain at $12.95 - until you realize you have to buy eight different novels for the course. 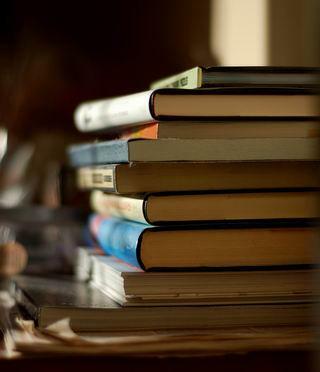 Get the most for your dollar with these tips on getting cheaper college textbooks. Direct Textbook - This site allows you to search over 200 online bookstores at one time. It gives you a list of the lowest prices for new, used, ebook and rental textbooks. Campus Books - Campus books has a database of over 8 million textbooks that it searches to help get you the best deal on a textbook. You may search from new, used and rental textbooks. It also offers a local search option for when you need a textbook right away. CheapestTextbooks.com searches the major cheap textbook websites online to offer you the cheapest prices on new and used textbooks and rentals. Many of the deals are accompanied by coupon codes for even bigger discounts. Where Can I Purchase College Textbooks Online? If your college has more than one bookstore, compare book prices at each store to make sure you get the best deal. Whether you purchase books in the local college bookstore or online, look for used textbooks to save a significant amount of money. Make sure you purchase the correct edition of the textbook to avoid missing critical information. College bookstores typically mark used books at a 25% discount, and you can find them right in the stacks along with new books. Used books sell quickly, so stop by the bookstore early for the best selection. Online retailers typically sell new and used versions of textbooks. If you do not want a lot of highlighting or notes in the books, look for used books listed in "good" or "like new" condition. Half.com features used textbooks from independent sellers. Many textbooks are shipped using media mail, which means they may take a couple of weeks to arrive. When you search for used textbooks through Amazon.com look for options that are fulfilled by Amazon to receive free shipping on over $25. Amazon.com also offers students the option to sell back textbooks to receive Amazon gift cards. Textbooks.com advertises the largest selection of used textbooks online. Orders over $25 receive free 5-10 day shipping, or you may upgrade to 2-5 day shipping for only $4. Ask around in your dorm to see if anyone has just taken the courses you're going to take next semester. Sometimes you can trade textbooks with someone looking for textbooks from classes you just took. Many online textbook retailers allow you to rent textbooks in order to save money. Most of them also offer free shipping to return the textbooks. You may rent a textbook for a quarter, semester or a short term. If you like to highlight and take notes in a textbook, renting is not a good option. Bookbyte offers competitive textbook rental rates and claims the average student saves up to 78% off list price by renting. Rentals are available for 30. 60, 90 or 150 days. You also have the option to buy the textbook after renting it, and shipping is free both ways. CampusBookRentals offers a 30-day risk-free return on all rentals. Students may choose a flexible return date and are also allowed to highlight in the textbooks. Many online retailers offer digital copies of textbooks, also known as eTextbooks. In many cases, these options may be cheaper than purchasing a hard copy of the textbook. If you have an eReader, you can easily take the textbook with you to class. Download multiple digital textbooks to save yourself from having to lug large amounts of textbooks across campus. Barnes and Noble's Nook Study Application allows students to highlight, take notes and search digital textbooks. A free 7-day trial is offered for all digital textbook downloads. CourseSmart gives students the option of renting digital textbooks to view online or offline. Students can highlight, take notes and copy and paste text. Selling your textbooks at the end of every quarter or semester helps you earn money to cover the cost of future textbook purchases. Buyback prices at college bookstores vary widely, depending mainly on whether the book is being used at your school next semester. If it is, you'll get the maximum amount, usually topping out at around half the cover price. If it's not, you'll be offered a much smaller amount, according to nationwide demand for the book. You may also attempt to sell your textbooks online through one of the many online textbook retailers, or post flyers on campus advertising the textbooks you have for sale.